This is going to be a last entry this year and this is also my last cosplay. When I look back, I do realise time really flies. But that is because I so enjoyed so much. This year is the best in all of my life. Last year was the worst, though. Glad things happened a lot. Life is mysterious, indeed. I used to feel there was no tomorrow, but everything got recompensated. I cosplayed a lot this year. Maybe too much. I joined the cosplay event 15 times, had a photoshooting 20 times. Oh no, did I do too much? Not only had a photoshooting, but travelled Kyoto with my friends. And I had fun with other bloggers from New York and Mexico. (Hinano, if you come next, I can take you to karaoke you can sing Vocaloid songs. Now we have it.) Well…I don’t know what to say, but come to think of it I have so many nice people. I want to say thank you very much. By the way, I have been longing for a certain costume. Since it is too gorgeous, I hesitated to do…but in order to end this wonderful year, I decided to cosplay him. 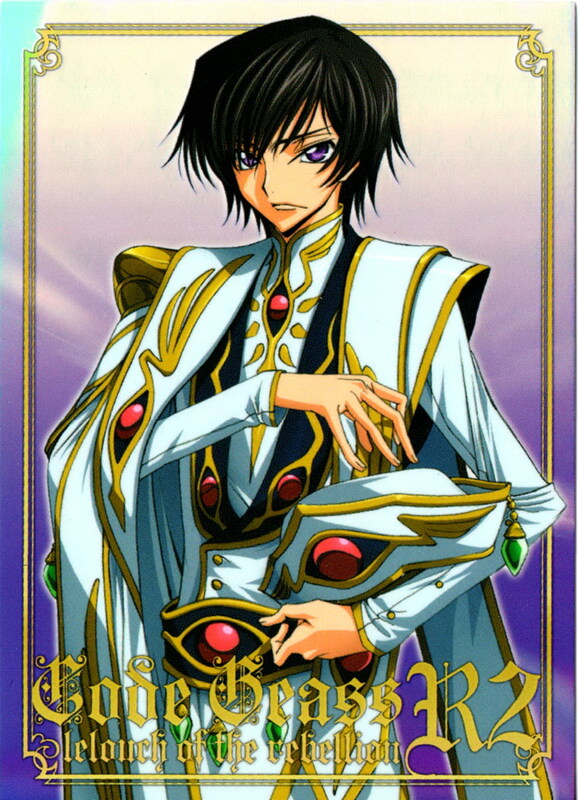 He is Lelouch Vi Britannia from Code Geass. I think most people know him. Remember this costume? Yes, this is what he wears in the last episode. He shows as an Emperor. If you followed Code Geass, you know what happened to Lelouch in the end. I am a big fan of him, so I will never forget him even now. I seriously want him to come back as well as his fans do. Anyway, I am going to Winter Comic Market today to see my friends, and have a party. So I shall say thank you readers for following my blog. Next year, I will keep up too. Have a happy new year and see you soon! Ah I can hear this term everywhere. Even outside of the otaku society. As far as I am aware, I didn’t hear it last year. Maybe no? Anyway, I realise how much people say this. I assume there is someone who coined it, though…To get to the point, ドヤ顔[doyagao] means an arrogant looking. Like saying, “See? Look what I did, you people.” with a ﻿﻿triumphant look. 顔[kao] means looking, but what about ドヤ[doya]? In fact, ドヤ stems from どうや[douya] which means such an exlamation. Like hey or humph, we have a lot of equivalence. But どうや is actually Kansai dialect[関西弁] so people in Kansai(Osaka or Kyoto) say it. I live in Kanto[関東] so I don’t say どうや, but どうだ[douda]. In this way, や[ya] seems to be used to end the sentence in place of だ[da] in Kansai dialect. For example, I can say コスプレが好きだ[Cosplay ga suki da] or I like cosplay. But if you want to say in Kansai dialect, you can say コスプレが好きや[Cosplay ga suki ya]. Both sound casual, not polite. So if he is such a doya looking after he did something, he is so sure that his performance is good. He wants you to praise him. I don’t understand why something like this word has been popular, but I guess it could be because such a triumphant looking doesn’t seem to be seen a lot in real life. That is why people with a doya looking are remarkable. So what kind of people are doyagao? Yes, hosts at the nightclubs. Speaking of hosts, I can think of Ouran High-School Host Club. But none of them have a doya-looking in my opinion. At best, it could be Suou Tamaki but not really. He is still the prince, lack of arrogance. 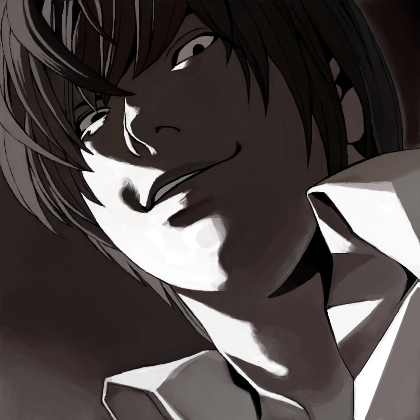 What about Yagami Light in Death Note? Oh yes, he is truly doya-looking. Very narcissistic and confident. If you have been following my blog, as you may know, I have been crazy about cosplay. And I have cosplayed whatever I wanted all this time. In case you don’t know, I choose a character to cosplay so carefully. However, sometimes I pick up a wrong character. If it is good for me, my friends say like it fits you. Of course there is the other way around. Anyway, this cosplay is really really challenging to me…because the character I cosplayed this time is him. 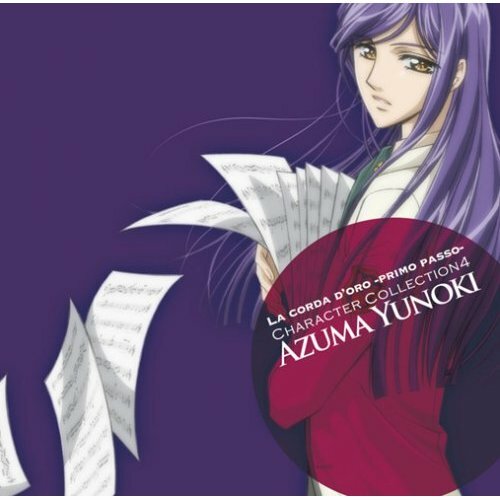 He is Yunoki Azuma[柚木梓馬] from Kin’iro no Corda -primo passo-[金色のコルダ]. As you can see, he is well-bred, refined, good-looking, there is nothing to complain. Of course he is such a bishounen, he is always surrounded by girls. There is even a fanclub for him at school. It is too cliched, isn’t it? Yes, someone like him has to be in shoujo manga. Kin’iro no Corda is an otome game which you can pursue several good-looking boys. Let’s say イケメン[ikemen] to means such a handsome boy. Sure, every otome game has such a prince. I don’t have to mention an example because once again, it’s too cliched. Having said that, Yunoki is so dark-hearted as a matter of fact. Even though he looks gentle, and is nice to anybody else, he shows the real him in front of just the heroine. Actually he is very mean, and such a bully. In this game, you are a schoolgirl who practices the violin in the brass band. Yunoki is a flute player. Needless to say, his playing is so good, but when he learns the herione is getting better, he starts to threaten her. So evil! I so laughed at the scene in which he changed himself all of a sudden. It’s in December now. Oh no how come time flies? The beginning of this year seems to be only yesterday, but now is the end of this year. When I look back, I am surprised to see how much I have cosplayed this year. I have been a cosplayer for three years, but I am sure this year is the best to me. Because I have more cosplaying friends than ever. They help me a lot. Anyway, there is a character I wanted to cosplay all this time, but I didn’t for some reason. That is him. 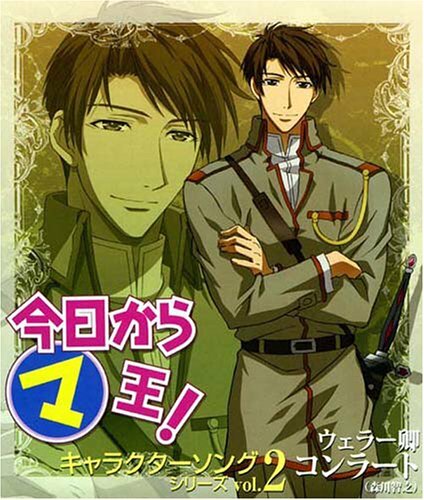 He is ﻿﻿Sir Conrad(Conrart Weller) from Kyo Kara MaoH![今日からマ王！]. Seemingly, he looks normal. His costume is not so cool, but I really like him. Conrad is gentle, and I really like how loyal he is to Yuuri, and he is so cool when he tries to protect Yuuri. Meanwhile, Conrad is actually Yuuri’s godfather so that he is like his elder brother. I wish I could have an elder brother like him, or else I wish I could be a man like him.